Written for CBSNews.com by Farhan Bokhari, reporting from Islamabad. A gas leakage killed at least two people at a heavy water plant in the central part of Pakistan's Punjab province on Tuesday, prompting fresh concerns over the safety of the country's nuclear program. But a senior Pakistani official said the heavy water plant near a town called Khushab was closed at the time of the leakage when it was undergoing annual maintenance, suggesting that the leakage did not take place when the plant was actively in operation. The official also said there was no indication of any radiation leak which would endanger the lives of people living around the facility. "We have ordered an inquiry in to this matter and we await the results of that inquiry before we can say more" said the official speaking to CBS News on condition of anonymity. "I can assure you however that the situation is completely under control." Western diplomats warned that Tuesday's incident would revive international concerns over the safety of Pakistan's nuclear program which has been a widely discussed subject in diplomatic circles during the past year as political instability has gripped the country. Western diplomats have said in the past that the worst case scenario came from worries over Pakistan being taken over one day by hardline Islamists who will take charge of the world's first Islamic nuclear bomb. Parliamentary elections in February effectively demolished the political strength of Islamic political parties, reducing them to no more than marginal strength in the country's four provincial and the federal legislature. But a western ambassador based in Islamabad warned that the political defeat of the islamists only took care of one of the anxieties surrounding Pakistan's nuclear program. "Other concerns of course relate to the nuclear program being unregulated and not subjected to global inspections by agencies such as the IAEA (International Atomic Energy Agency)," said the ambassador in remarks to CBS News on condition of anonymity. The nuclear plant at Khushab, which Pakistani officials claim was indigenously built, has primarily worked to provide enough fissile material for the production of nuclear bombs, while commercial reactors for producing electricity include one Chinese provided reactor at the town of Chashma which is also in central Punjab. China is presently working to complete a second power generation reactor also at Chashma. A third nuclear reactor was provided by Canada in the early 1970s and is located near Karachi, Pakistan's southern commercial port city. Though Pakistan has never publicly revealed the scale of its nuclear weapon assets, experts believe the country possesses between 50 to 60 primarily uranium based nuclear bombs. These are in addition to between five to ten nuclear bombs built using plutonium - a substance which is capable of delivering lighter weapons. Pakistan became an overt nuclear power in 1998 when it carried out its first series of nuclear tests, three weeks after a series of tests carried out by rival India. In January this year, Lieutenant General (retired) Khalid Kidwai, head of Pakistan's strategic plans division (SPD)-the agency responsible for overseeing the development of all nuclear facilities, in his first public remarks on safety related concerns said, the government had placed adequate safeguards to prevent leakages. "We have institutionalized the structures [overseeing the nuclear arsenal] and introduced modern technology" said Kidwai adding that "there are sufficient firewalls, safety and security built into the chain of command, as well as into the weapons and the weapon-producing facilities." He also claimed that a "sound system of over-watch on scientific manpower" had been established to closely track the activities of up to two thousand nuclear experts who work at the heart of the program. In February this year, Admiral Mike Mullen, chairman of the US Joint Chiefs of Staff, during a visit to Pakistan publicly acknowledged that the country's nuclear weapons were protected by adequate safeguards, confirming earlier assurances made by Pakistan. Admiral Mullen said that he was "very comfortable that the nuclear weapons are secure (and that) there are proper procedures in place. I am not concerned at all that they're going to fall into the hands of any terrorists." 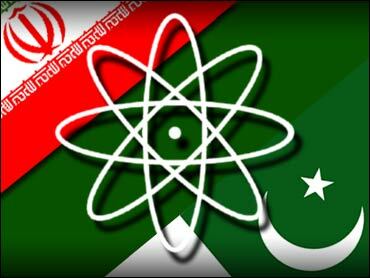 International concerns over the possibility of Pakistan's nuclear know how and technology being passed on to other countries, date back to revelations in 2004 that Abdul Qadeer Khan, the founder of the nuclear program, sold nuclear knowhow and technology to Iran, Libya and North Korea. President Pervez Musharraf officially pardoned Mr Khan for his acts though he has lived effectively under house arrest in Islamabad since those revelations became public.